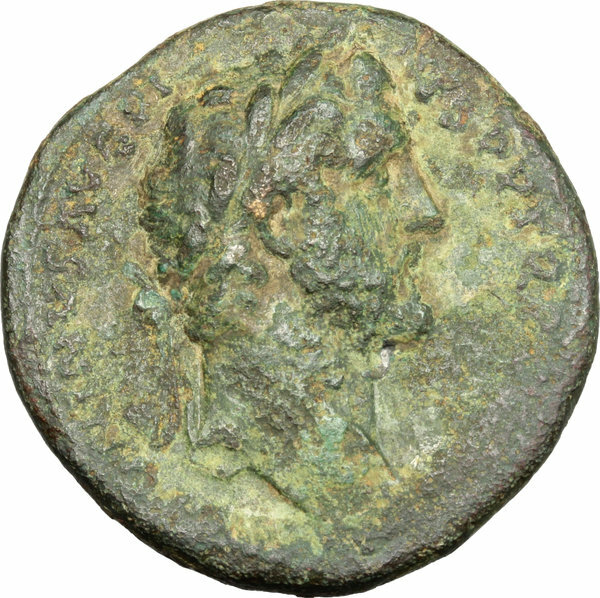 Coins 332 Antoninus Pius (138-161). 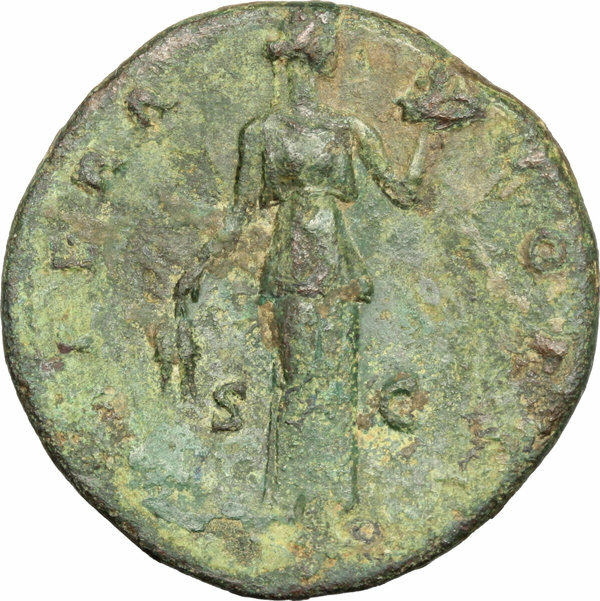 AE Sestertius, c.143-144 AD. D/ ANTONINVS AVG PIVS PP TR P [COS III]. Laureate head right. R/ IMPERATOR II SC. Fides standing facing, head right, holding grain ears and dish of fruit. 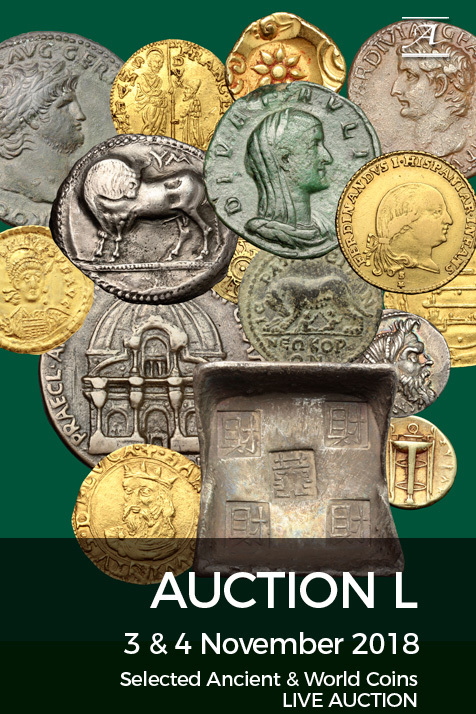 RIC 716 a. C. 426. AE. g. 23.75 mm. 32.00 Minor roughness. Dark green patina with lighter highlights. About VF.